Believe it or not, this teeny tiny stuffs will save a lot of your money. Instead of double tape, I usually use this to assemble and attach paper fan, paper lotus, snowflakes, honeycomb etc so that it can be reusable. Tips: Always put the paper clip at the back side because we don’t want this secret revealed to the guests, rite? I love paper punchers! 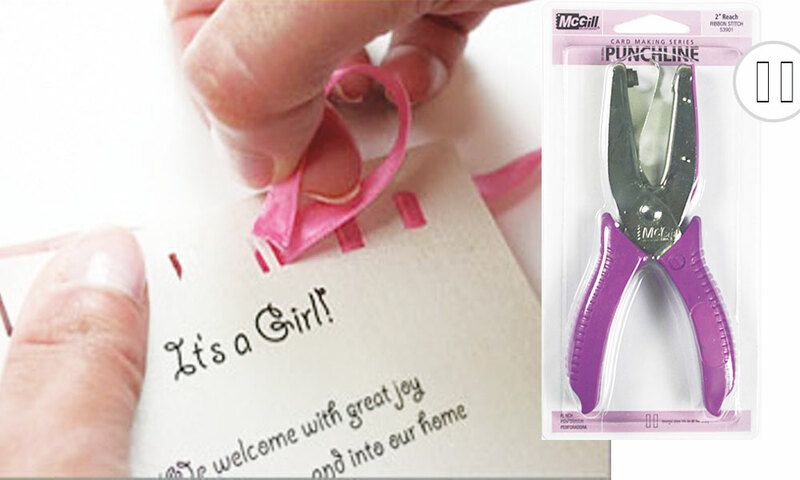 This ribbon hole puncher is the one that I pull out whenever I felt the invitation or gift tag is too plain and dull. The weaved decorative ribbon or lace effect gives it the right punch! This one is my fave. After searching for so long, finally I found the one! 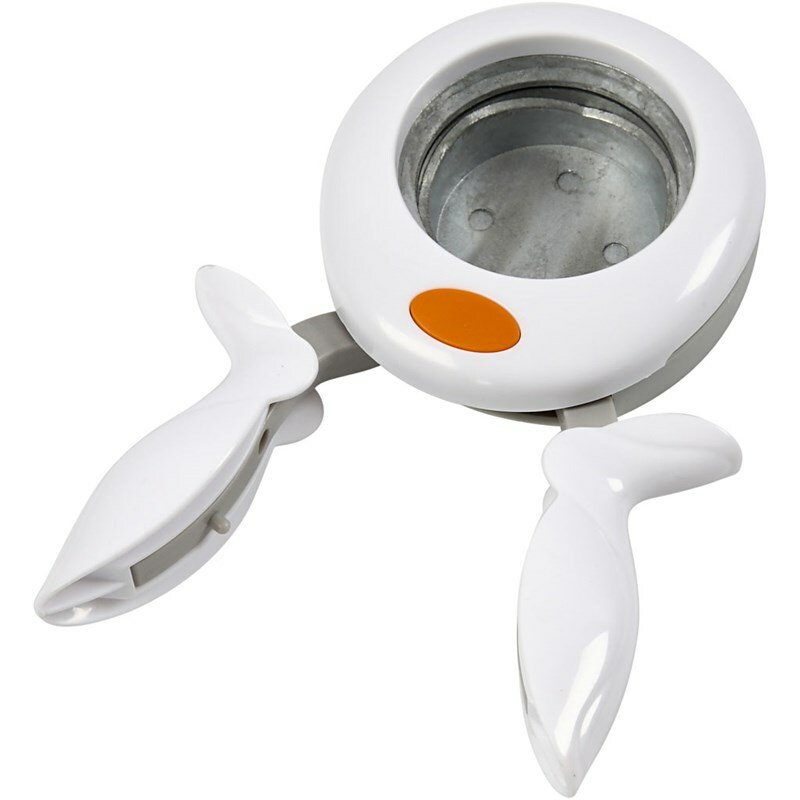 This Fiskar puncher is so easy to use. It lets you peek on the area you wish to cut. No more blind-punching. It’s perfect to create cupcake toppers, jars stickers, round gift tags. Tips: If it gets dull, punch aluminium foil to re-sharpen it. If you are into jewelry making, this one is your basic needs. Always keep this in your “party decor tool box” (yes I do have one) because it might come handy when it’s least expected. I use it for hanging party decor from ceiling. It’s transparent so your decor will look very neat. 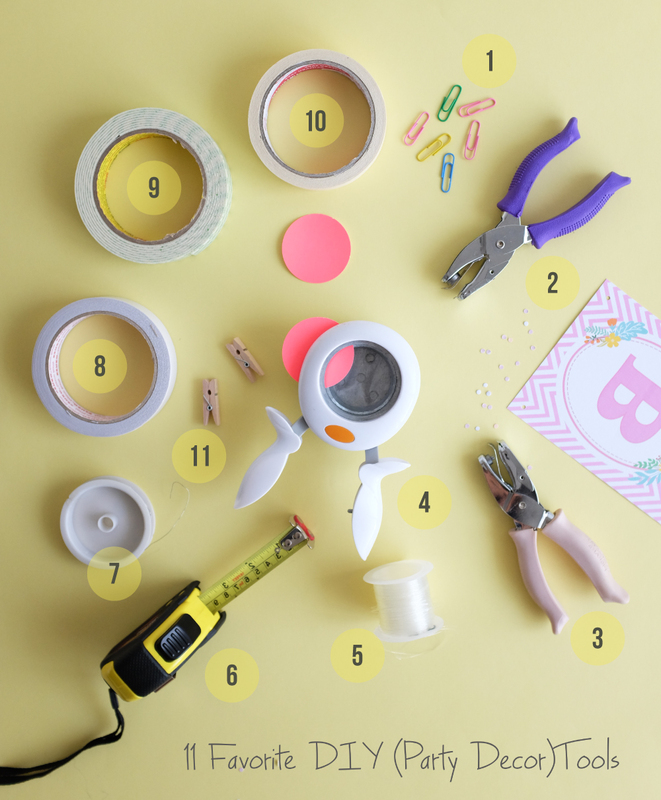 To know how many paper fan and pom pom for your DIY photo backdrop, you’re gonna need to measure the area first. That’s when this measure tape is needed. 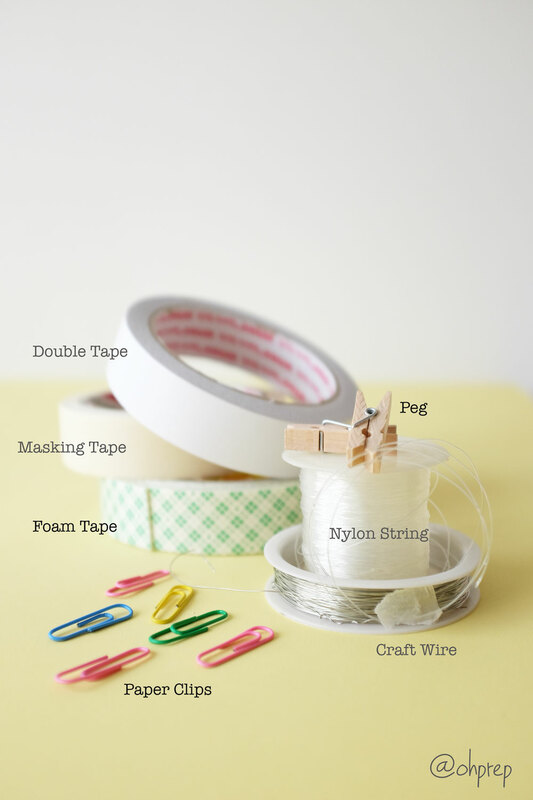 Now, let me introduce you to the Tape Family! I purposely put all the Tape Family members in one basket because these 3 complement each other. 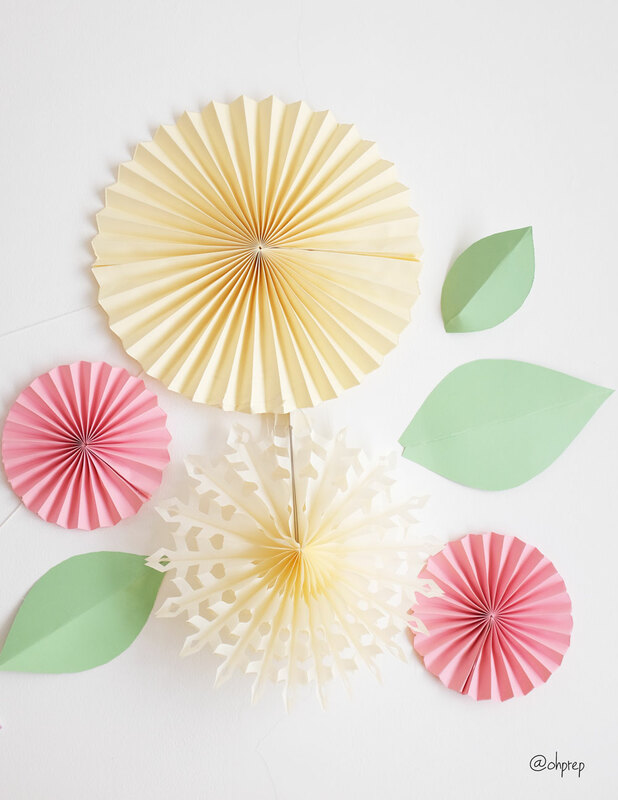 3 of them made the DIY paper fan backdrop easy and very much doable. Or if you happen to have an emergency party plan, you already bought the giant number balloon but it’s hard to find where to fill it with helium yet you still want it to up there hanging, worry not, my dear, the Tape family will come to the rescue. First, protect the wall with masking tape. A dent on the wall in your own house means you need to re-paint it. A dent on the wall in your rented party venue/resto means extra service charge. It’s better to prevent than to pay. Second, use double tape / foam tape to attach the paper fan to the wall or partition. Double tape is for lighter decor whilst foam tape is for heavier one. 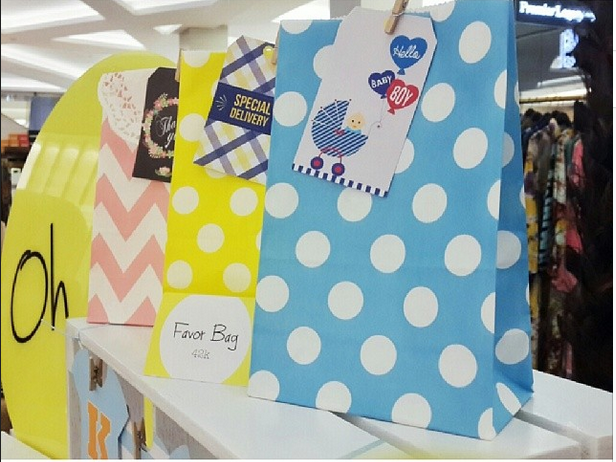 I love how it adds extra cuteness whenever I use it to hang birthday banners or hang gift tag to your favor bags. Many asked do we sell these but too bad we don’t. I bought them in Daiso and they came in different sizes. The smaller one is my fave . Last but not least, THE most important tool ever and no I’m not exaggerating. 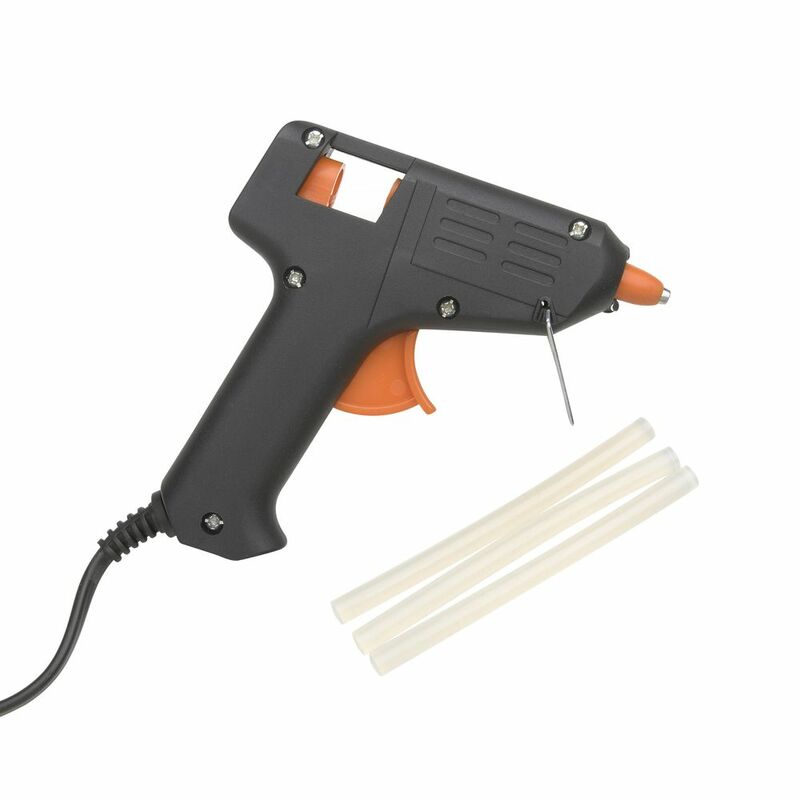 Glue gun, FTW! I must admit I do have fun writing this serie. Might post the same serie sometimes later. Bear with me. Haha! 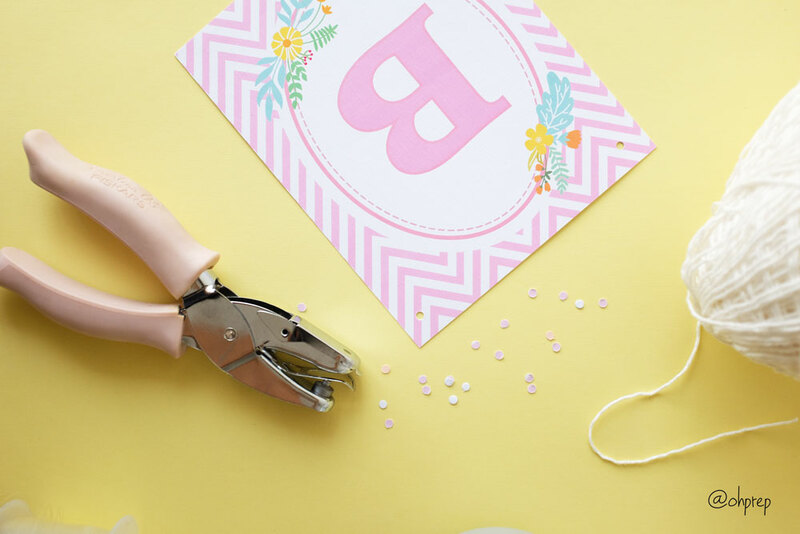 ← Confession of a DIY Bride!